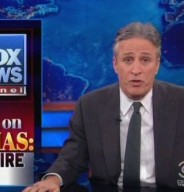 From Mediaite: Christmas quickly approaches, and FOX news has quickly started talking about the “War on Christmas.” Last night, Jon Stewart tore into their message on The Daily Show, reports Mediaite: “Jon Stewart helped Fox News get an early start on its war on the War on Christmas tonight. Though as Stewart sadly observed, Fox’s annual battle to save Christmas have ‘become a little predictable’ to the point where all you need is a book of Mad Libs and a bunch of religious buzzwords to set them off into a Christmas feeding frenzy. 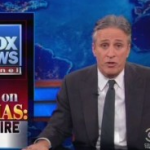 Stewart mockingly said that Christmas is so weakened and ‘defended only by the brave souls at Fox News.’ But after years of ripping Fox for cherry-picking a few isolated instances of atheists getting nativity scenes taken down, Stewart couldn’t even get excited enough this time.” Read more here. 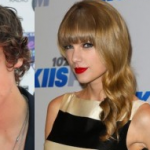 From Gossip Cop: The T-Swift and Harry Styles rumors continue to roll in, as Gossip Cop keeps you updated on the latest: “It’s on! 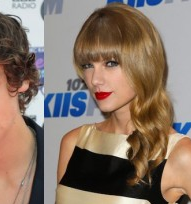 Taylor Swift and Harry Styles confirmed weeks-long romance rumors by holding hands on the way to her New York hotel after 4 a.m. on Tuesday morning. Earlier in the night, Swift was honored by her ex Conor Kennedy’s family with the 2012 Ripple of Hope Award at the annual Robert F. Kennedy gala in Times Square. After the event, the ‘Love Story’ singer met up with Styles at One Direction’s concert after-party, where the pair reportedly sang karaoke to ‘Don’t Go Breaking My Heart.’ On Sunday, the singers were spotted looking smitten in Central Park.” For more details of their relationship (and a pic of the karaoke performance), read here. From Geekosystem: All anyone interested in outer space could talk about yesterday was NASA’s press conference about the exciting Mars rover, but Geekosystem explains that “what we should have been paying attention to was happening nearly 11.5 billion miles away in the heliosphere. The Voyager 1 spacecraft has encountered a new region of our solar system. What’s even more exciting is that NASAscientists believe this region is the final barrier between Voyager and interstellar space. That’s so much more impressive than chlorine on Mars. The Voyager 1 spacecraft is now so far out into space that light from the Sun takes over 34 hours to reach it. 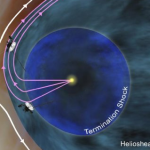 NASA debated whether this new region should still be considered part of our solar system, but project scientist Edward Stone makes the call by saying, ‘Although Voyager 1 still is inside the sun’s environment, we now can taste what it’s like on the outside because the particles are zipping in and out on this magnetic highway. '” Read on here. From Styleite: Is the Obama administration about to get even more fashionable? It might just be, reports Styleite: “Will Anna Wintour exit her post as editor in chief of Vogue to take on an ambassador role in either the U.K. or France? President Obama is considering nominating her for one of the two positions, according to a report today from Bloomberg. We’ve heard this rumor before, but this time we’re willing to give it a little more weight, given both the source and the timing, as Obama is set to plan and reorganize his party over the next few weeks leading up to January’s inauguration. According to the report, Obama is looking “to reward his biggest fundraisers with embassies never out of fashion,” and Wintour certainly fits the bill as one of the President’s top bundlers, having raised more than $500,000 and hosted major, star-studded fundraisers.” Read all about it here. From SportsGrid: Here’s what happened last night in a very entertaining and nail-biting game of Monday Night Football between the New York Giants and Washington Redskins, reports Sportsgrid: “Why, it seems like just a month ago that Mike Shanahan was saying the rest of the Redskins season was for “evaluation” purposes, while the Giants were 6-2 and rounding into top form. And that, of course, is because it was just a month ago. But that’s where the parity of the NFL comes in – things are fluid and can (and do) change in an extremely short time. 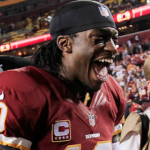 And that’s how we find ourselves where we are now – the Giants clinging to a one-game lead over the Cowboys and those very same Redskins, following a 17-16 Washington win over the Giants on Monday Night Football last night. 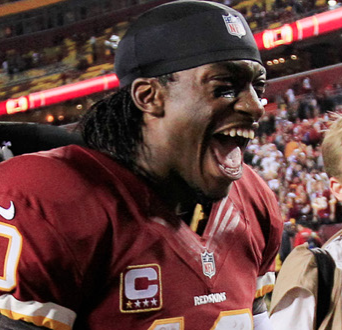 One major takeaway from last night’s action is merely a continuation of something we’ve seen all year: the Redskins have a couple really damn good rookies on offense.” Read more here. From The Mary Sue: There’s some Spider-Man casting news, reports The Mary Sue: “Back in October we learned The Amazing Spider-Man sequel was casting for Mary Jane Watson and Harry Osborn, roles previously held by Kirsten Dunst and James Franco in the previous franchise. Actress Shailene Woodley has already been chosen for Mary Jane and now Harry has been found. Chronicle’s Dane DeHaan will play Peter Parker’s friend whileJamie Foxx officially jumps on as the villain Electro. Direct Marc Webb made the Harry Osborn announcement via Twitter. The Hunger Games: Catching Fire’s Sam Claflin and a few others were being considered for the role but perhaps it was DeHaan’s previous superhero experience that pushed him over the edge. 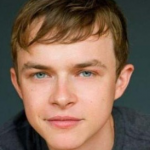 The young actor played one of the lead roles in the “found footage” film, Chronicle.” Read more about him here. 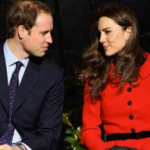 From The Jane Dough: The big news of Kate Middleton’s pregnancy continues to excite, and now The Jane Dough reports you can get even more (financially) involved in the announcement: “Finally! Queen-to-be Kate Middleton’s pregnancy has been confirmed (after countless false alarms), and as the countdown begins to the arrival of the lovable bundle of silver spooned joy, a betting war has begun to correctly guess what Kate and Wills will name the kid (and to think that yesterday, it was all about Blue Ivy!). The U.K. based betting company Paddy Power has enumerated just about all possible scenarios in a press release… While Paddy Power are usually more concerned with poker games and horse races, the lure of celebrity culture is tough to resist, a fact that they freely acknowledge.” Read the details of the bets here. From The Braiser: What did The Braiser do last night? They had some pretty cool culinary plans. Writes the site, “Last night, Esquire Magazine closed out its three-day food-centric Hurricane Sandy fundraising event The Esquire by curating ‘The Greatest Meal Ever Cooked.’ With plenty of drinks on hand (made solely from 10- and 12-year aged scotch), attendees tucked into five courses, plus hors d’oeuvres, from a staggering number of James Bearded chefs. 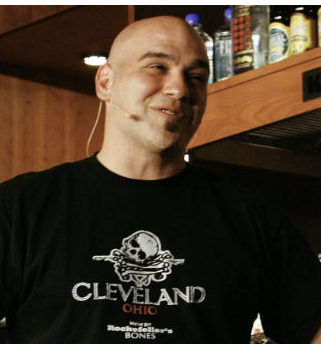 We quickly stopped trying to count up how many Tom Colicchio, Michael Symon,Michael White, Jonathan Benno, Linton Hopkins, Mario Carbone, Rich Torrisi, and Christina Tosi held among them. 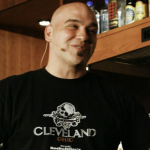 We caught up with Symon before service, tricked out in his signature fisherman’s hat, to quickly run the gamut between his darkest and brightest life-spots: Cleveland sports — and The Chew.” Read what he had to say here.